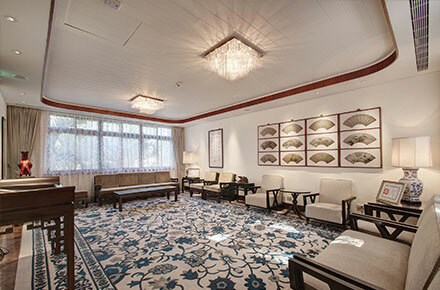 Refurbished to its original appearance, the living room where Sun received and entertained guests and dignitaries now awaits and welcomes museum visitors. Watch movie clips on land reform and US aid, try the hand-cranked power generator, listen to sounds from “paper speakers”, and feel how Sun and his Taiwan Power Company (Taipower) colleagues worked assiduously to repair and rebuild Taiwan’s electric power system from World War II damages. Follow the history of how Taiwan transformed from a labor-intensive export-processing island in the 1950s into a high-technology innovator with the establishment of the Industrial Technology Research Institute and the development of first-generation wafer. Manuscripts bearing meticulous revisions, a heavy and well-worn briefcase, passports with stamps of overseas trips witness how Sun steered Taiwan through the stormy years with successive economic and diplomatic crises. View the changing scenes of the museum compound from dawn to dusk. Silhouette animation on paper diorama depicting key moments in Sun’s life. Books and notes, learning and editing…beautiful memories of Sun’s student days during his training at Tennessee Valley Authority in the early 1930s. Reference books on various disciplines, his reading glasses and the ticking clock kept Sun company when he pondered on policies and formulated goals. Love letters, cards, recollections from his children and movie clips revealing a devoted husband and an affectionate father. The sewing machine and the well-kept garments bearing witness of a thrifty Mrs. Sun. Accessories and aids for rehabilitation as reminders of Sun’s rehabilitation years marked with self-discipline and unwavering perseverance. Temporary exhibitions with themes on science, technology and humanities. Well-stocked with references and collections on Taiwan’s economic development, open for public access. Take a break in this comfy space to watch animations on Sun’s life or enjoy leisure hours with the garden view from the balcony. Take a sip, have a bite, relax and refresh in this cozy café; browse and buy tailored souvenir items to your delight. Venues well-suited for talks and seminars, performances and classes accommodating 20-80 persons, available for public rental. A secluded lush green garden away from the hustle and bustle of Taipei city. 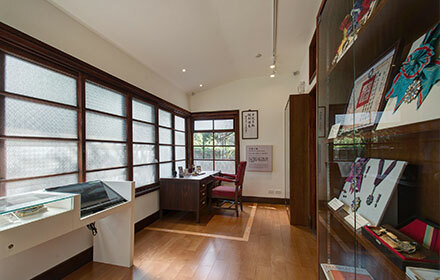 Copyright © Sun Yun-Suan Memorial Museum. All Rights Reserved.